We’ve also purchased tickets for sports events and concerts would be a great idea too! For a male teacher, a jersey from their favorite team is a big winner! If you are buying individual gifts for teachers, you will need to get a bit more creative if you don’t want to break the bank!! 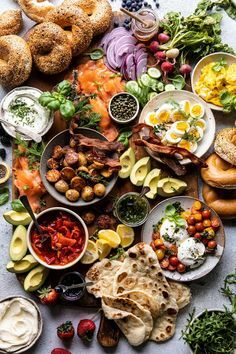 Here are some great ideas from Pinterest…. You can get these cups for a very reasonable price right now at SuperStore and HomeSense. If your kids are old enough to bake, this could be fun as they could make the cookies and feel that they contributed! 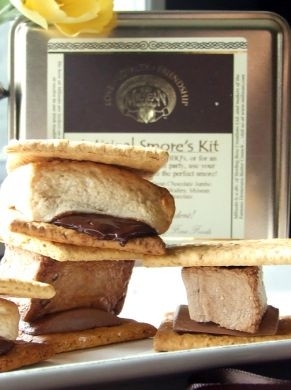 A gourmet s’mores kit is another fantastic idea. Here’s a great kit from Milsean for $25. 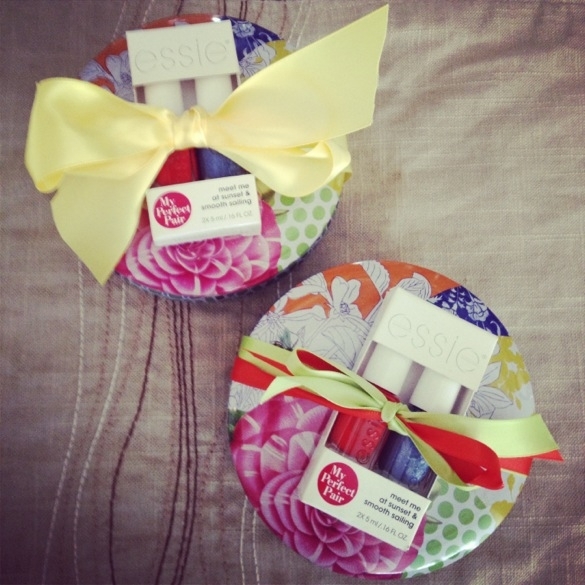 I found these large candles in pretty tins and I added a nail polish duo from Essie and ribbon to tie it all together. Bottom line…set aside the cliches of what you “think” you should buy for teachers and give gift that you would love to receive!